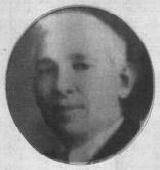 Judge Canales drafted the LULAC Constitution in Corpus Christi in 1929. After his term of office, he remained active and ready to give a helping hand. LULAC News eulogized: "No man has worked so untiringly and so long to see that those principles upon which LULAC was founded are not trampled."